This beautiful sight is 33 Thomas Street in Manhattan. 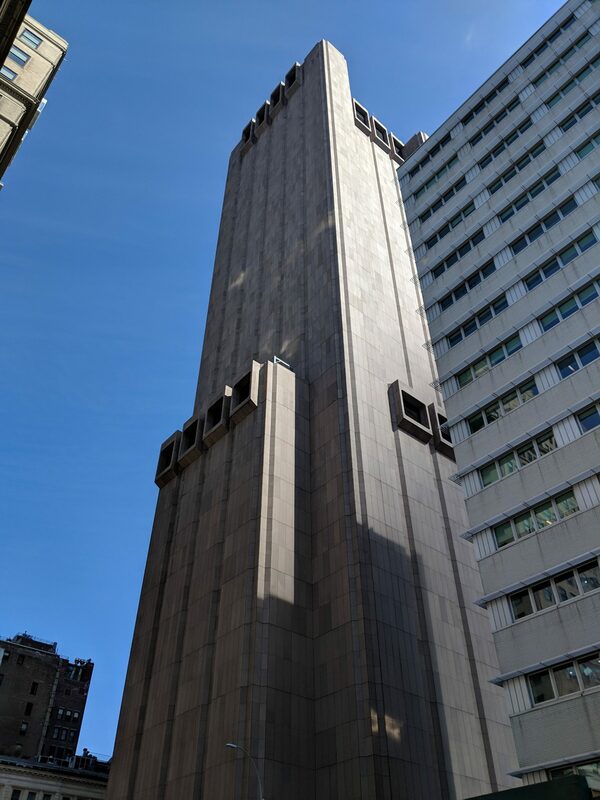 Wikipedia tells me it’s an example of the “Brutalist” architectural style. Lovely.